This is not an April Fool’s day joke. 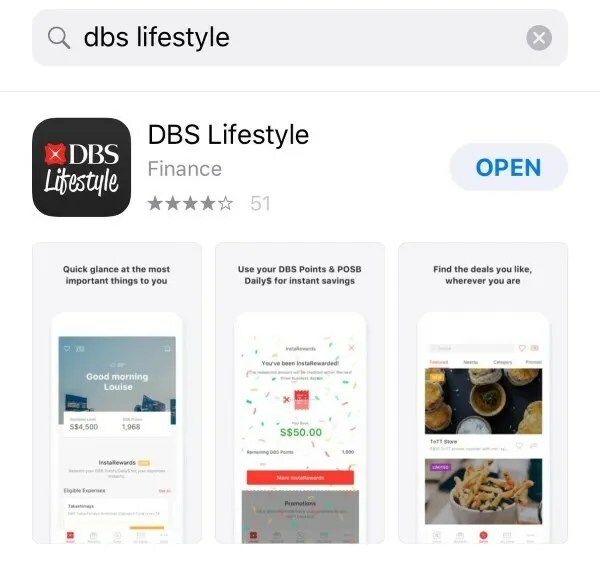 There is a promotion for DBS Lifestyle Application users (App Store or Google Play Store) between 29th March to 30th June 2018. 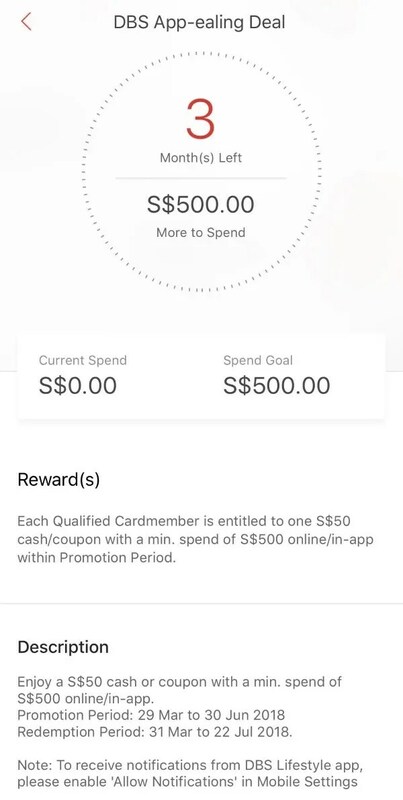 If you spend a minimum of S$500 qualifying spend (read more below) within the 3 months, you are entitled to win S$50 worth of cash credits or vouchers. I have signed up for the promotion because it seems like a good deal not to be missed! The prize and quantity can be found in the terms and conditions. It seems that there are only 3,600 who will win the cash credit. Install the app via Apple App Store or Google Play Store. 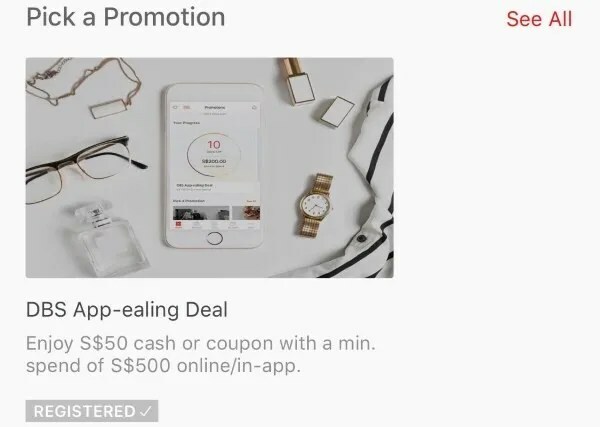 Register under the “Pick a Promotion” section. Spend a minimum of S$500 qualifying spend within 3 months to win the deal. The app does the tracking for you. It is as easy as that! The tricky part is the qualifying spend. For a moment, I thought I can easily meet the minimum spend if I pay my monthly bills. But no, bill payment is not a qualifying spend! Below is extracted from the terms and conditions.